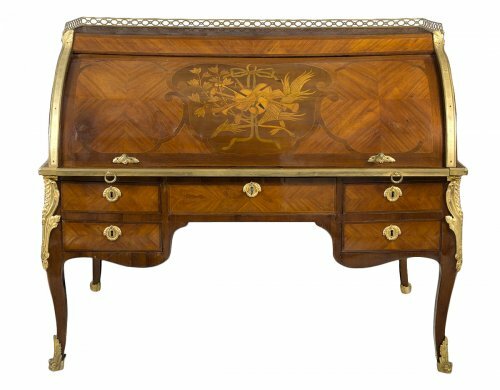 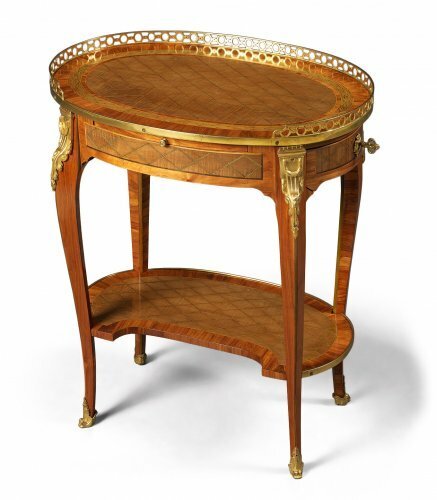 During the Transition style era, the design of desk and secretaires moved towards geometric shapes and gilt bronzes enriched with motifs borrowed from ancient civilisations. 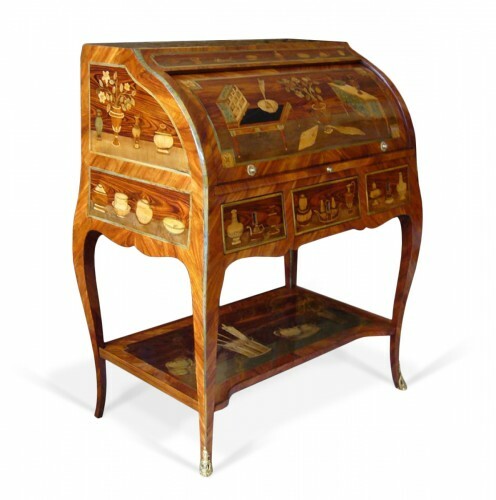 In the 1760s, the "Greek" style enjoyed great success. 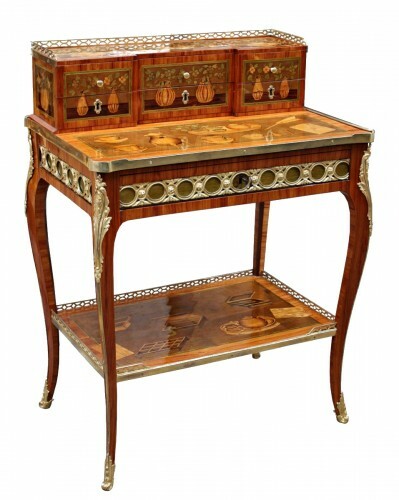 Influenced by its use for letter writing, the secrétaire manifests in several forms: secrétaire à abattant, bureau de pente, secrétaire à cylindre, bureau dos d'âne and bureau à lattes. 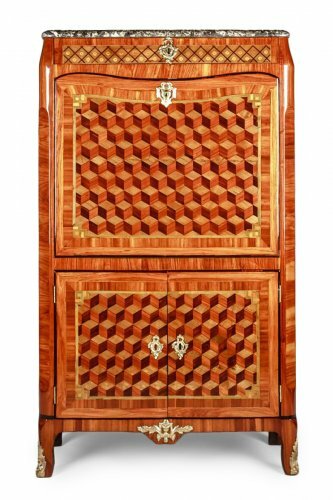 The secretaire in armoire form, called a "secrétaire à abattant", appeared in the 1750s and its success would not cease to increase. 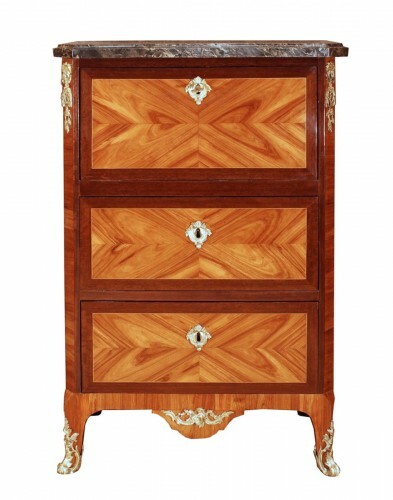 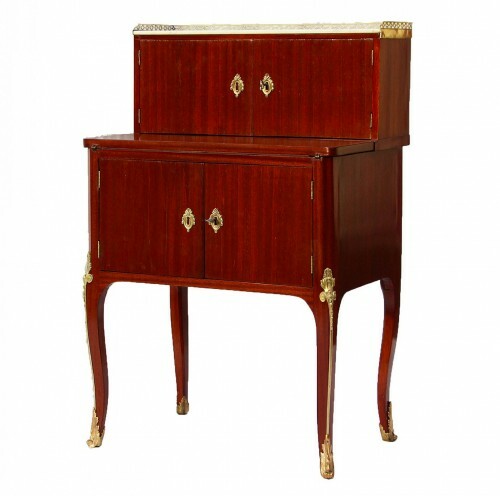 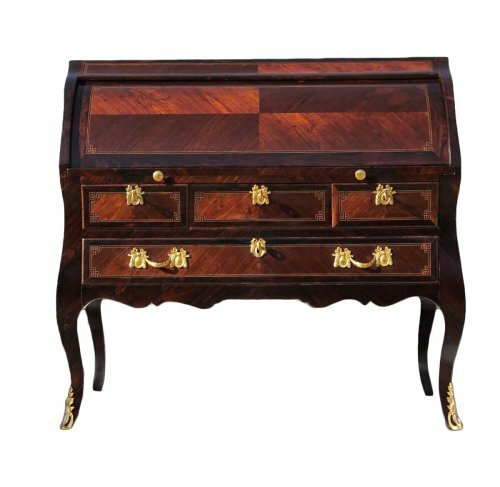 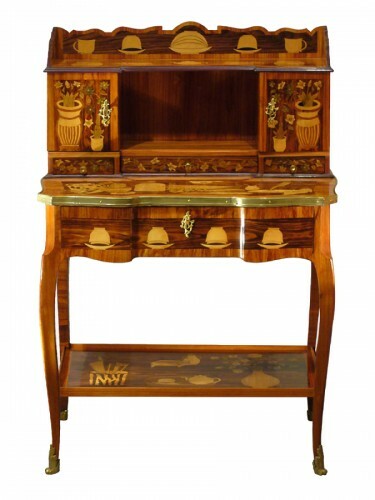 The Transition bureau is produced from mahogany or rosewood, or walnut for the most sober designs. 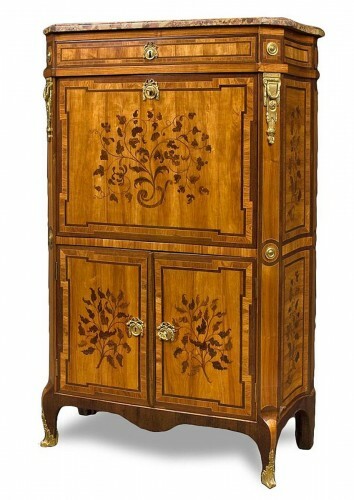 It is often covered in veneers of mahogany or kingwood. 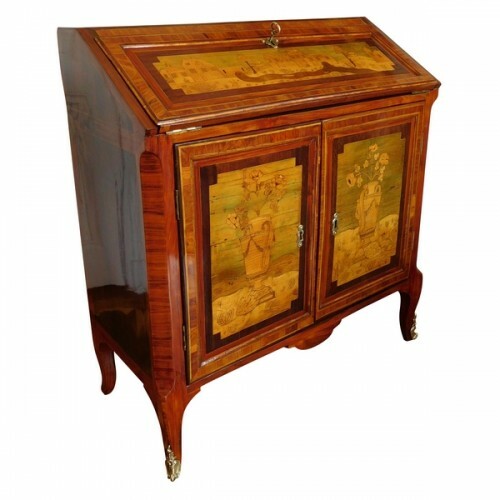 Its scrolled panels tend increasingly towards straightness. 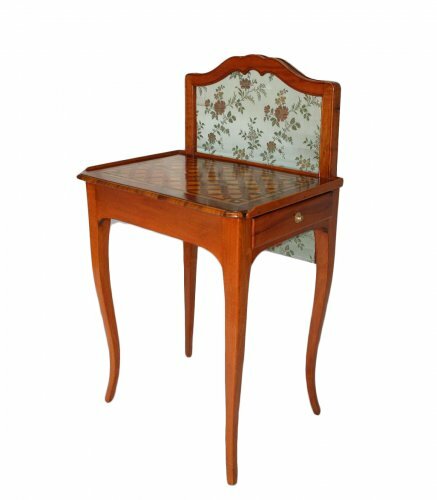 Mosaic marquetry is preferred to the floral form.